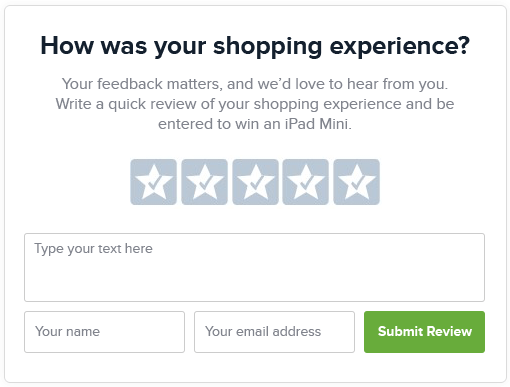 Increase your company review collection by 30% by prompting users to leave reviews immediately after checkout. Boost your company review count by asking customers to write a review as soon as they complete checkout on your site. Adding the Exit Survey to your site should take less than a minute.